Property 7: Stunning 5 bed villa in Tatlisu. Property 10: Beautiful modern villa with breathtaking sea views, mountain views. 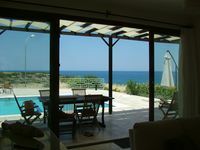 Property 12: Stunning Views of Sea and Mountain Perfect Location, A Little Piece of Paradise. Property 26: Extravagant villa in Northern Cyprus with breathtaking ocean views. Property 42: A stunning villa with private pool + 1000 sq miles of uninterrupted sea views. Beautiful detached villa, 4 large bedrooms with private pool! Fantastic view! Property 43: Beautiful detached villa, 4 large bedrooms with private pool! Fantastic view! Wonderful vila 200 meters to the sea. New, clean and comfortable. Property 48: Wonderful vila 200 meters to the sea. New, clean and comfortable. What a wonderful rental if you&rsquo;re looking for a beautiful, quiet, relaxing stay. This home and the grounds are gorgeous, making it a very comfortable stay. Everything is new and remarkably clean. The outdoor space is well- kept and a peaceful place to relax and have a coffee or meal. Stayed with some friends but I believe it would also be a wonderful home for families (although be careful of the stairs if you have little ones). There are even some sweet farm animals just outside the gate if you want to visit them. It&rsquo;s a very serene and peaceful property; it requires a bit of a drive to get to &ldquo;sights&rdquo; and wasn&rsquo;t easily found by taxi drivers (in our experience) but was well worth it. The hosts were incredibly responsive and helpful, providing everything we needed and more to make our stay comfortable. Hope to return soon! It was a really nice holiday and the house was nice with beautiful views. I was just a little surprised as I read the previous reviews and they mentioned that no houses were next to it. While in reality you have houses on each side, luckily you still have your privacy.